Esio Trot - Film Review | What Does Mel Think? 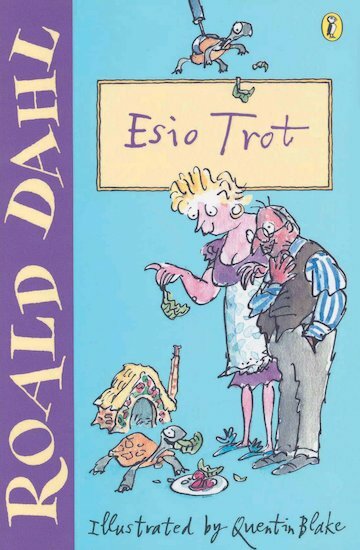 I am probably not the imagined audience for this and as you hear that this is a film adaptation of a Roald Dahl book, you may think you aren't either but wait! This is a perfect film for all ages! It tells the story of Mr Hoppy (played by Dustin Hoffman) and his unrequited love in the form of Mrs Silver (played by Dame Judi Dench). He goes to all lengths to try and impress her, including filling his flat with 50 tortoises of all shapes and sizes. This was an absolute delight to watch, it was so simple yet incredibly heart warming and enjoyable. Every line and item of scenery was expertly selected and executed. Also with such a star studded cast as this was, you couldn't really miss it! (James Corden also narrated so obviously I had to watch it). For young children, it has Dahl's imaginative narration and plot. For teenagers it reminds them of the much loved books of their childhood such as The Twits and of course Charlie and the Chocolate Factory. For adults it has the same effect, but also the story's protagonists are relate-able people that share a message: it is never to late to find true love. I had to do a blog post about this because I have not enjoyed a film so much for a while, yet it was so easy to watch! I don't even have enough words to express how much I enjoyed it. Watching it yourself will convince you of how it really is so well adapted from the story we knew as children. It is availible here on BBC iPlayer. Such a lovely blogpost, I love reading books which are not for my 'category' to put it like that: it freshens up your vision.